How people refer to events in their own time tells us quite a lot about their thinking, or how they viewed events unfolding around them. For example, no one in 1861 used the term Civil War to describe the bitter rivalries between North and South. If one happened to live in the North, the conflict became The War of Rebellion. 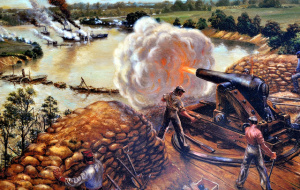 Living in the American south, below the so-called Mason-Dixon line, it became The War of Northern Aggression. Both terms are accurate, from a historic point of view.